The Personal Number Service 700XXXXX as of January 23rd will be available to retail services subscribers, with a monthly subscription of €2,50 and an one-time installation fee of €5,95. Personal Number Service 700XXXXX is an easily-remembered number. From any district, customers or friends of the Personal Number Service subscribers can contact the subscriber on a non-geographic number. Calls are made to 700 XXXXX where 700 is the service code and XXXXX is your unique 5-digit number. 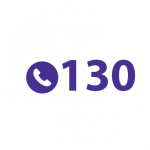 With the Personal Number service, calls are sequentially driven up to three (3) fixed or mobile phone numbers set by the subscriber. The subscriber is not charged when a call is routed to the telephone numbers provided. Personal Number also functions with telephone numbers that do not belong to Cablenet.